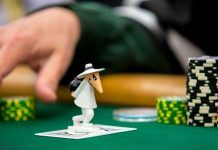 Once, Las Vegas was best known for its cheap and cheerful eateries and all-you-can-eat buffets. These days, however, the face of Sin City’s dining is rather more sophisticated. There are still plenty of affordable options for those who are visiting on a budget. 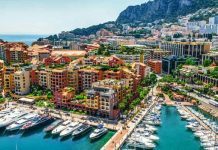 But, for those who are prepared to splash out and enjoy something truly spectacular, there is no shortage of gourmet dining spots where you can find outstanding cuisine to suit all tastes. Whether you prefer all-American fare or a taste of the exotic, Las Vegas and its famous Strip has something that is certain to delight every diner. 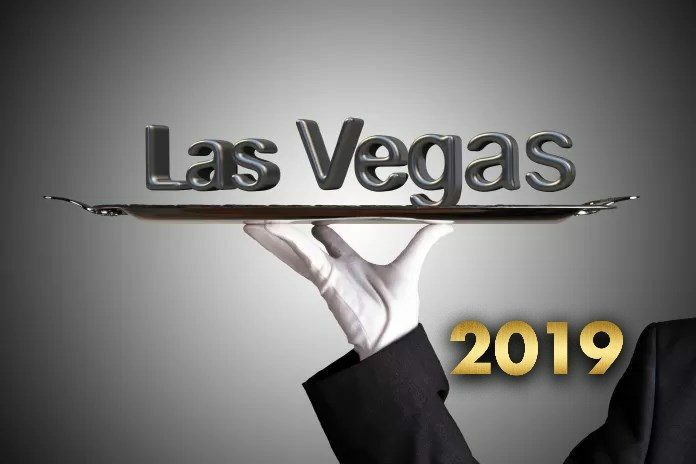 Some of the top restaurants in Las Vegas have been awarded several prestigious accolades and awards. 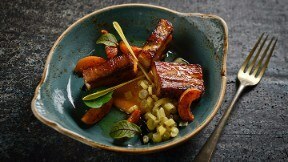 One of the most desirable awards in the entire industry is the Michelin star. While Las Vegas may once have seemed like an unlikely hot spot for world-class dining venues, today, there are no less than 12 different restaurants in the city that have received this ultimate praise. Although The Strip is best known for its casinos and impressive hotels, it is also now well known for its amazing dining experiences. 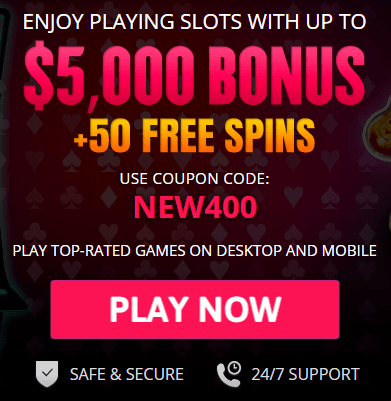 If you consider yourself to be a gourmet foodie who is heading off to Las Vegas, you will probably want to plan on trying some gourmet restaurants while on your trip, that is, after you have enjoyed a successful day at the gaming tables. The good news is that there are some great places to eat on The Strip. 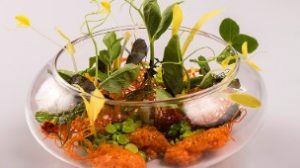 But, if you are keen to sample some world-class cuisine, it is likely that you will want to know the best Michelin-star restaurants Las Vegas has to offer. 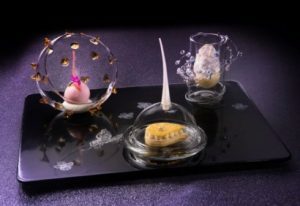 Connoisseurs of quality cuisines will no doubt be thrilled to hear that there are several Michelin-starred establishments from which to choose, each offering a unique dining experience. However, because these top venues often have long waiting lists, you will definitely want to plan your meals well in advance, and, in some cases, up to a year. On the other hand, some can be reserved much closer to the day itself, and some you may be lucky enough to simply walk in off the street and get the chance to eat. Here is your guide to the best restaurants in Las Vegas. 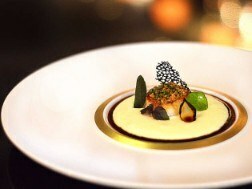 Joel Robuchon at the MGM Grand Hotel & Casino is Las Vegas’ only restaurant to have earned the coveted three-star status. Modeled in the style of Art Deco townhouses, this French restaurant boasts a splendid garden terrace lit by crystal chandeliers and adorned with marble floors. This formal establishment requires diners to dress appropriately for the sophisticated atmosphere, which only adds to the special ambiance. 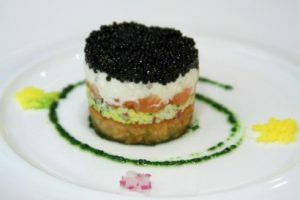 The chef, Joel Robuchon, also has the honor of being Michelin’s most highly decorated chef, having earned more than 30 stars over his entire career, so you can be assured of outstanding cuisine. Caesar’s Palace boasts one of Las Vegas’ two two-starred premises. Guy Savoy offers a French fine-dining experience close to The Strip in a truly romantic destination. Guy Savoy is the head chef here and divides his time between this establishment and its Parisian location. Diners can be assured that they will enjoy the finest food in a beautiful environment. Located at the world-famous Bellagio Hotel & Casino, Picasso is an altogether more artistic restaurant, decorated with many of the artist’s paintings and ceramics for an exotic and sophisticated feel with plenty of colors. The delicious food is Spanish- and French-inspired, with executive chef Julian Serrano, fusing ingredients and cooking styles to create unique dishes that have gotten their inspiration from both European countries. There is also an extensive wine list that features more than 1,500 different varieties in the restaurant’s private wine cellar. While a one-star rating may not sound especially impressive, it is worth noting that there are very few restaurants anywhere in the world that have been awarded this accolade. While a total of 12 one-star Michelin awards have been given to establishments on and around Las Vegas’ Strip, today there are only nine that are currently still open. The other three have been closed and replaced with other establishments over the last few years. 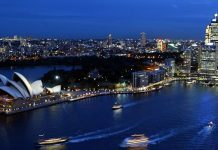 However, the restaurants that remain open offer an outstanding dining experience for anyone visiting the city and represent an excellent choice for tourists and locals alike. 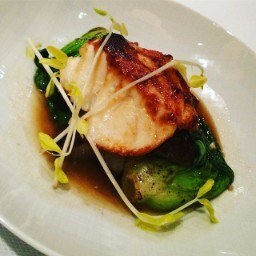 One of the best features of these high-quality restaurants is that they serve amazing and delicious food in attractive surroundings at a fraction of the price of a meal at one of the two- or three-starred establishments. The waiting list is also likely to be substantially shorter, too, making them a better option for a last-minute special dinner while on vacation. With a spectacular location on the 56th floor of the Palms Casino & Hotel, Alize serves up contemporary French cuisine with an awe-inspiring panoramic view. Boasting a contemporary-style tasting-table experience, Aureole at the Mandalay Bay serves outstanding food and drink using high-quality locally sourced ingredients prepared in a bold American style. This delightful neighborhood restaurant blends American and French cuisine to create an intimate dining experience in a pleasant setting. Adding new twists to classic dishes, this is a fantastic choice away from the bright lights of The Strip. 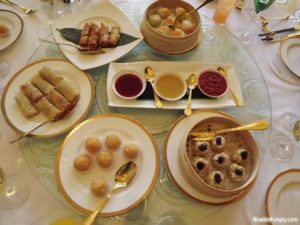 Wing Lei at the Wynn Resort holds the honor of being the first Chinese restaurant in America to have been awarded a Michelin star. Fusing Western cooking techniques with Chinese flavors, all served in a lavish and opulent setting, this is an exotic dining spot. Located at the Trump hotel, this stylish establishment boasts cuisine prepared with high-quality ingredients in a modern American setting. With an extensive cocktail and wine list paired with seasonal creativity, DJT offers an exceptional experience. For a more informal experience, this service bar environment offers a clear view into the open kitchen where you can watch your meal being prepared before your eyes. This legendary establishment at the Bellagio offers an unforgettable dining experience by the lake. 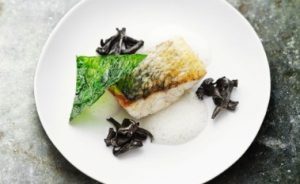 Serving an exquisite French menu, paired with an excellent wine list and outstanding service, this vibrant restaurant is an unforgettable destination. 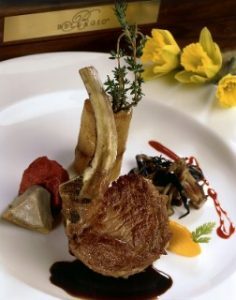 Also at the Bellagio, this signature restaurant offers a delightful menu comprising contemporary and refined American cuisine and seafood, which uses only the finest seasonal produce, prepared with an exciting blend of French and Japanese influences. Located at Caesar’s Palace, this sophisticated Japanese restaurant was the first in the United States to offer teppanyaki cuisine. 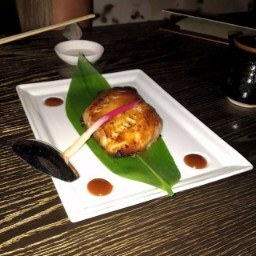 With a sushi bar, private dining space, and impressive signature items, this is a luxurious dining spot. With so many fantastic world-class restaurants to choose from, you are sure to find that your trip to Las Vegas will be complemented by some amazing food. 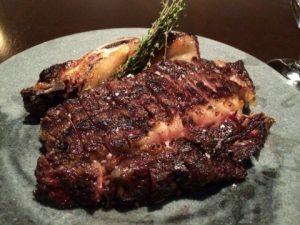 Whether you favor Japanese, Chinese, French, Spanish or American fare, you’re sure to find something that tantalizes your taste buds on The Strip. Whether you want to eat in one of the many beautiful hotels or downtown, you won’t be disappointed in Sin City’s foodie offerings.